The new model, launched this week, will be available with a choice of 2.0-litre natural aspirated GDI and 1.6-litre turbo petrol engines. The latest generation is wider, longer and lower than the outgoing model, with more equipment, comprehensive passive and active safety features and a strong European influence in its interior and exterior design. Hyundai New Zealand General Manager Andy Sinclair says the new car creates a spacious, welcoming environment. “The i30 was the first ‘i-car’ offered globally and here in New Zealand. It quickly won over a strong local following among New Zealand motorists and companies looking for advanced, tasteful styling and class-leading technology. This third generation is poised to continue the trend with modern styling, excellent driving dynamics, advanced safety features and thoughtful interior design that protects, entertains and informs occupants.” he said. All models have seven airbags: front, side, curtain and driver-side knee airbag, Blind Spot Detection System and Rear Cross Traffic Alert. Like all new Hyundai cars and SUVs, the i30 has a first aid kit, fire extinguisher and hi-vis vest for emergency situations. 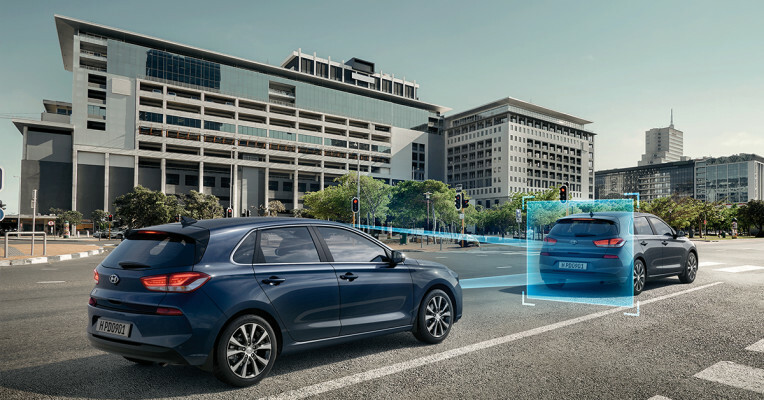 Limited models also feature the latest in active safety technology including Autonomous Emergency Braking (AEB), Driver Attention Alert (DAA), Lane Keep Assist System (LKAS) and Smart Cruise Control (SCC). All three models offered from launch, the 2.0-litre GDI Hatch and Elite Hatch and the 1.6-litre turbo GDI Limited, have distinctive LED Daytime Running Lights. The Limited variant arrives with LED road lighting – both headlights and rear combination lamps. All models feature a dusk-sensing auto headlamp function. The new car has twice as much high-strength steel used in its construction than its predecessor, helping boost body rigidity by around 20 per cent and reducing weight by 28kg. The new car enters the market with a best-possible 5-star ANCAP safety rating. The company’s current Fluidic Sculpture 2.0 has been applied to the i30 with striking results. “We see a shift to a more modern look that once more freshens the i30 but one that also acknowledges the outgoing model. The result is a design that looks at home on New Zealand roads and suits our busy lifestyles,” Mr Sinclair says. Under the bonnet, the new i30 range begins with a 2.0-litre, four cylinder, naturally aspirated direct fuel injection petrol engine with Continuously Variable Valve Timing (CVVT) producing 120 kW at 6,200 rpm (160 bhp) and a maximum 203 Nm of torque at 4,700 rpm. The engine drives through a six speed automatic transmission and returns 7.4 litres per 100 km. The 1.6-litre turbo engine is also a direct fuel injection design and offers a significant increase in power and torque. Power increases to 150 kW (201 bhp) at 6,000 rpm, while torque is a flat plane of 265 Nm from 1,500 rpm to 4,500 rpm. The turbo engines drive through a seven speed dual-clutch automatic transmission (DCT) with auto mode supplemented by paddle shifters on the steering wheel. It delivers a best fuel efficiency figure of 7.5 litres per 100 km. Inside, the new car offers a comprehensive standard specification. There is a large 8.0 inch touchscreen display offering a wide range of ‘infotainment’ options and the car supports MP3 audio sources, Satellite navigation, Apple Carplay™ and Android Auto™ systems. The audio system has four main and two ‘tweeter’ speakers. Seat materials start with high quality fabric and move to leather and sport leather seat and trim packages on the 2.0 Elite and 1.6 turbo Limited respectively. The rear seat features a 60:40 split folding function to accommodate larger loads, and with the whole rear seat lowered has a capacity of 1,300 litres. A panoramic sunroof is standard on the Limited model. Dynamically, the i30 features proven McPherson strut front suspension design across all models. The 2.0-litre model features a torsion beam rear suspension whilst the 1.6 litre turbo has a multi-link rear suspension. All three launch models arrive with stylish alloy wheels – the 2.0 hatch on 16-inch wheels and 205/55 tyres; the 2.0 Elite on 17-inch wheels and 225/45 tyres and the 2.0 turbo Limited on 18-inch alloys with 225/40 tyres. “We have been waiting for this car and are looking forward to revealing it to our loyal family of owners as well as new customers, both private and business. 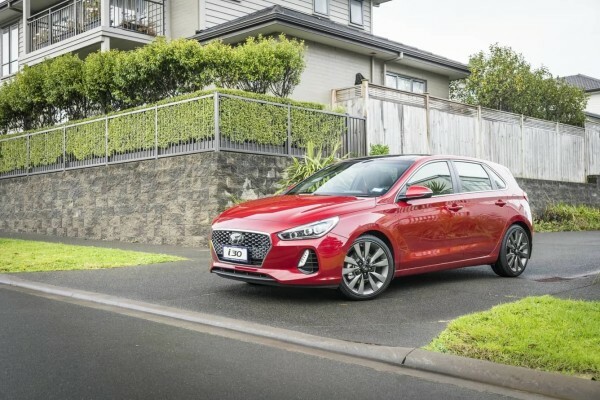 The comfort, practicality and style of the new i30 are a fitting evolution from the outgoing model and we are sure it will receive a warm welcome in the New Zealand market,” said Mr Sinclair.